A Band meeting was held Monday, January 28th, 2019 for the purpose of updating members on programs and activities that are currently happening and that will be held later this year. Chief, Council and Staff gave reports that covered scheduled training courses, contracts CCN is engaged in, spring and summer contracts including significant marine services on the reservoir, Rio Tinto (Alcan) contracts etc. The meeting went very well. We also announced that Notice of Vote information packages were officially mailed out to CCN members on Friday January 25 by Loreen Suhr, the Voting Officer. The Voter package is to remain confidential. Please respect this and keep the terms out of social media and do not share content with anyone except Cheslatta members. This is your business and no one else’s. 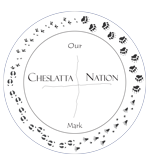 We must remain a solid and united Cheslatta. Again, please respect the confidentiality of the information we have provided. If the vote is positive, your future will hold many opportunities for generations to come. Each and every one of you will have a part in protecting this settlement for generations to come.